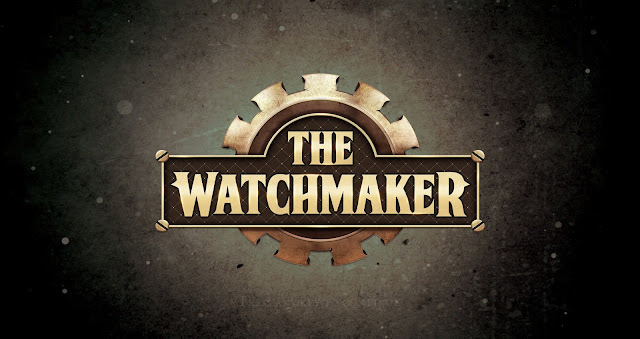 When I first saw The Watchmaker, a steampunk puzzle game that requires players to fix time, I was immediately interested. The gears started turning about how this game was going to play out. The sad thing is, this game did not live up to my expectations. Players step into the shoes of Alexander, the man who created Clock Town, to right the natural order of things because he awakes to find that the clock tower has been sabotaged by the Ruin Saboteur. But don't worry, he's not the only obstacle in this game. There are many puzzles that players must pass to reach the conclusion of The Watchmaker. Alexander is joined by Navi - whoops, wrong game. Let's try that again. He is joined by the 'chatty voice' who functions as his helper, though he's never that useful except for snide remarks and backstory. That said, the chatty voice isn't what keeps the players going, it's the weird backpack that appears to tick up, not down. The voice tells players at the start that if we reach age 90 then we die. Not only is this an intriguing idea, but it is also the most frustrating element of the game. 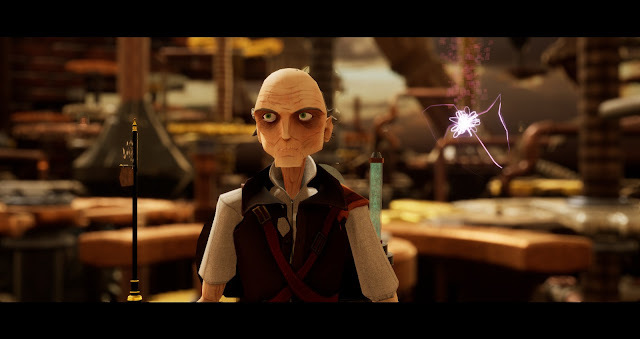 The Watchmaker is a steampunk inspired third person puzzle platformer whose concept is to restore time, but it falls flat in many areas. In order to explain why that is, we'll look at the different abilities and discuss the issues with some of them. 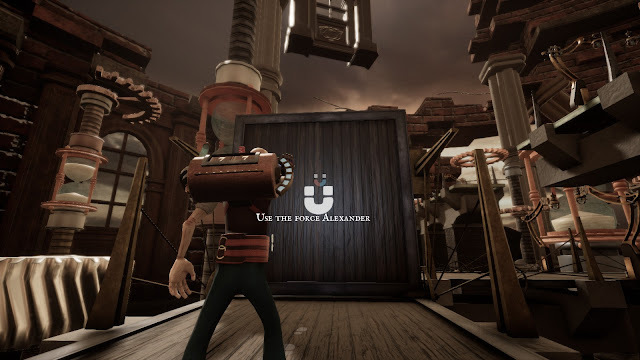 Alexander can lift objects with a magnetic ability that is both neat and frustrating. Sometimes when using this ability, the objects will land where the player intends while other times it will overshoot the location, causing it to fall off the map. It is not accurate and doesn't always grab the objects that Alexander needs. It is an ability that wants players to be precise, but despite that fact, the game seems to have an input lag. Another thing about this ability is sometimes objects are dropped accidentally. This occurs when the input is slower than the game can register. Not only did this minor issue waste valuable time, but there were moments where I had to back track to find a dropped object. There are two other abilities that Alexander can use. One freezes time for a short while and the other places a mirrored image in the same place. The freezing time ability is self explanatory. Players use it to pass sections like the one where cog wheels are spinning at break neck speed. The mirror image is used to conquer sections that require pressure plate buttons. The optimization in this game hinders progression in another way. Really, I think it boils down to the collusion of certain objects not being solid as far as players expected. Oftentimes I died in game because of the smoke spewing robots. I think the reason I died at this section is because the game didn't register that the wall panels were blocking the toxic breath ability. It looked like I was safe, but I wasn't. And should you be unfortunate enough to get hit by the toxic breath attack, you age up! That means you're closer to death. Ugh. Since there are irritating issues with the optimization, collusion, and loading issues, the Watchmaker has a few things to work on. In terms of aesthetical choices, I quite like the stylistic steampunk graphics used. 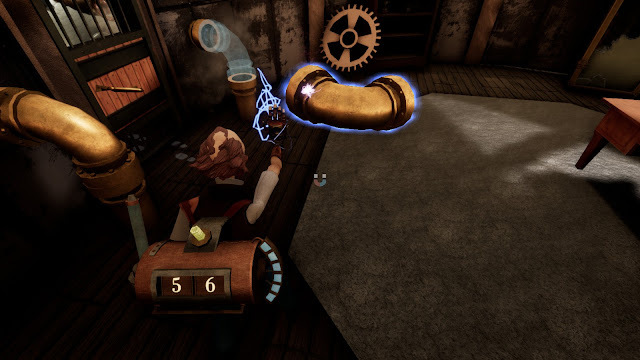 The steampunk concept is embedded in the game when players consider the gadgetry, steam, and overall colour scheme. Even Alexander's attire reflects the steampunk style, not just in the colour scheme and clothing choices, but in the look of his backpack too. Not only does it provide valuable information for the player, but it looks awesome. Also, one would think that the watchmaker would have some specialized time keeping device like a stopwatch but no, his abilities are executed through use of a mechanical glove. How cool is that? The only real user interface in this game is the information conveyed on the backpack, which is great when you consider that Alexander doesn't have need for many objects. Even at that, there is an inventory screen which players can access through the menu screen. In here, there are tabs for video/sound/hotkeys/etc... The tabs don't have tons of options and it just scrapes by with the choices like it lacks the ability to change the field of view. The Watchmaker is lacking in a few things that would be really useful, like a hint system. The only hints players receive come from the chatty voice, but often his dialogue is overrun by various game events. On load up, not only does the game refuse to open on the correct monitor, but it also takes a good amount of time before getting into the game! I know it's not just my computer being a scrublord because other reviewers have had similar issues with The Watchmaker's load time. I can only imagine that others will have the same complaint. The platforming in The Watchmaker infuriated me, not because it was hard, but because of the input lag. My complaint isn't that I dislike platforming because I enjoy jumping puzzles in games – to an extent – but I failed a few times because of the input issues. Not having the ability to reset puzzles did The Watchmaker no favours in my books. Having such an option would have saved precious time, but unfortunately, I ended up becoming more aggitated with the game as time went on. And if all of that wasn't enough to deter me from the game entirely, the first boss fight really pushed me to throw in the towel. Again, it has little to do with mechanics of the fight. Players have to stop time, avoid the steam patches, pick up a bomb, and throw it at the boss in order to damage it. The problem is that half the time I had issues grabbing the bomb or throwing it, without getting hit with steam. In fact, there were several instances attempting the fight which caused me to take damage when I wasn't even on a steam vent. I really wanted to like this game because using a person's age as a timer is a unique idea, but I found myself too aggravated at little things issues. Sure, it has some awesome graphics and music, but after adding up all the cons, I actually came to dread playing The Watchmaker. 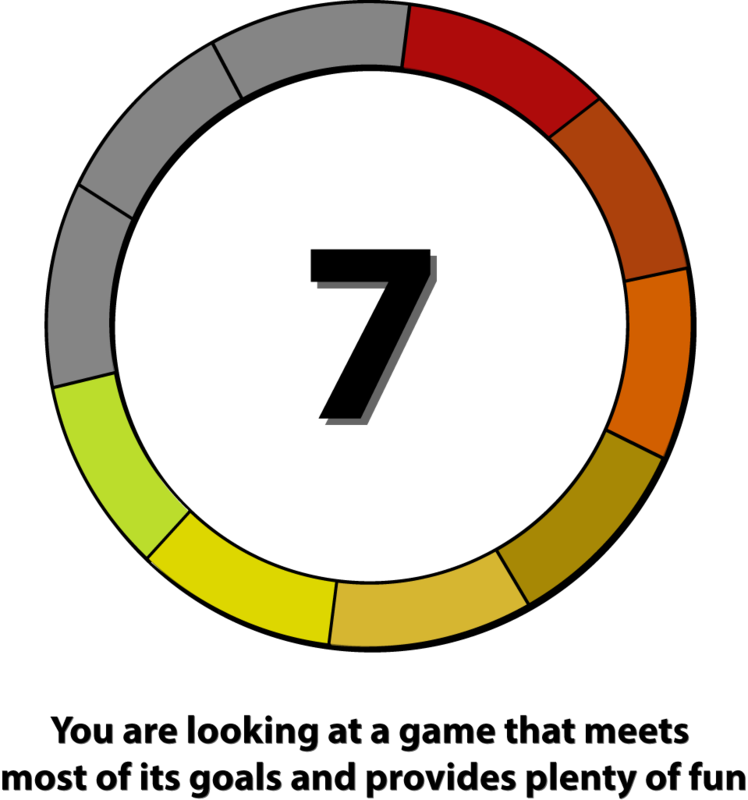 It's not the idea of the game, it's that I generally hate timed puzzles, especially if input lag is a problem. In my opinion, the game has a fantastic in concept and it was poorly executed at too many points. In total, I give this game a seven out of ten. It has a lot of potential to be a fantastic game but doesn't have everything figured out yet. Make no mistake, this game is not bad, The Watchmaker just had too many strikes against it for me to rate it higher.